Enroll now online. Registration has never been easier or more convenient. Simply click the button below, fill out your information, and choose your classes! It's easy, don't worry. If you have any trouble we welcome you to give us a call or send us an email. We are more than happy to help! To participate in the June recital, students must be enrolled by February 1. Students may still enroll after February 1, without recital participation. 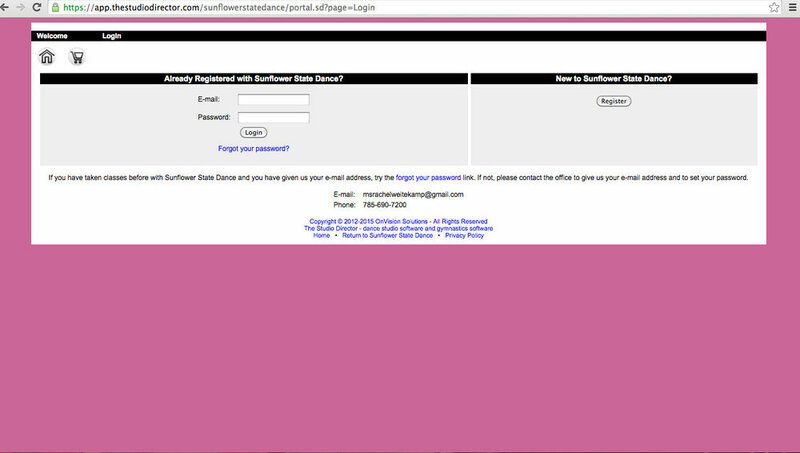 You will be directed to the Sign-In page. If you have already registered, simply sign in. If you are new click the register button on the right. If you are new - complete the form to the best of your ability and hit next. Click the cart icon to check out and save your spot in the classes chossen.